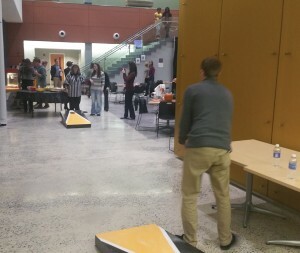 On Thursday night at Towson University Northeast campus in Harford County, Towson students put on Fall Fest. 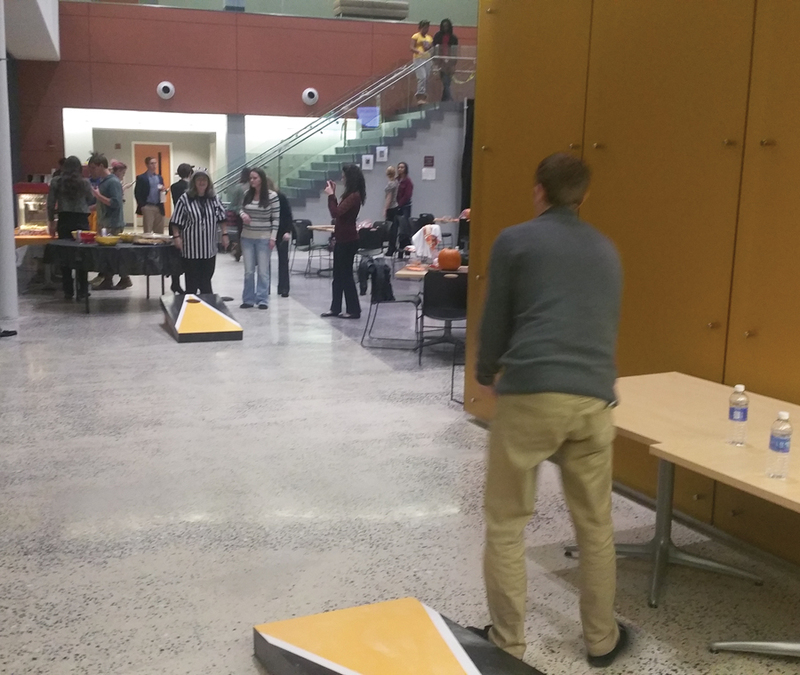 At Fall Fest, Towson students and faculty dressed up and played games like a witch hat ring toss and bean bag toss. Halloween music like Michael Jackson’s “Thriller” and the Monster Mash played while everyone ate food ranging from meatballs to pretzels and popcorn. One Towson faculty member (pictured in the Domo costume) treated students to live Halloween themed trumpet and piano music. 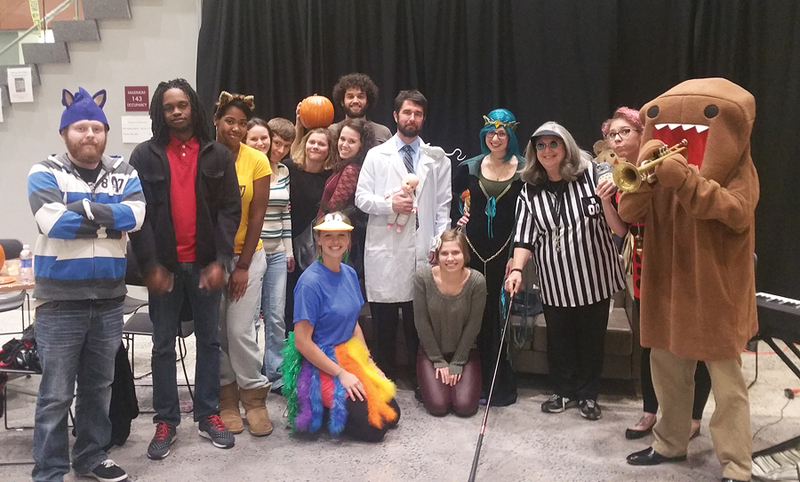 Everyone from students to faculty were in the spirit (pun intended) of Halloween. Costumes varied from a blind Raven’s referee to Japanese cartoon monster, Domo. To conclude the evening, the organizers of the event showed the 1993 Disney classic, “Hocus Pocus.” Hopefully, this tradition will continue next year.